Our rehab hospital colleagues will likely be on the move Jan. 8, 2019, when plans call for them to relocate to a newly renovated larger building to support their patient care and future growth. 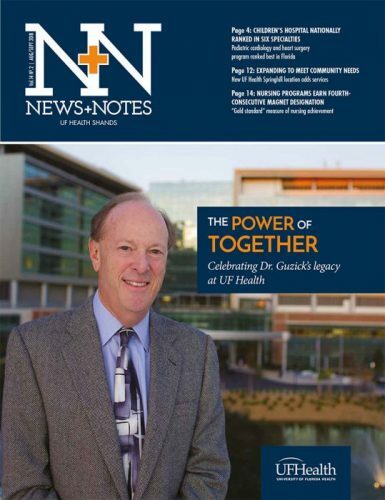 The announcement came on June 13, when UF Health Shands CEO Ed Jimenez and UF Health Shands Rehab Hospital CEO/Administrator Marina Cecchini cohosted employee town hall meetings with Select Medical corporate and regional executives. The rehab hospital began its collaboration in 2016 with Select Medical, which operates 25 rehab hospitals, including the renowned Kessler Institute for Rehabilitation. After the January move, the new rehab hospital will be an independent entity managed by Select Medical. However, leaders are giving staff plenty of time to settle in, learn how Select Medical works, get immersed into its culture and adapt to operational changes. Instead of immediately switching employers, the UF Health Shands-employed rehab staff will have two years before becoming Select Medical team members. During that time, pay and opportunities for raises, paid time off, benefits and pension will remain unchanged. There will be just a few exceptions regarding the employment timeframe: The rehab hospital will employ its management team. Beginning in January, several current rehab hospital leaders will make an early switch to be employed by the rehab hospital for the two-year duration. In addition, the rehab hospital will recruit other management positions as it separates from the shared administrative infrastructure with UF Health Shands Psychiatric Hospital. Upgraded amenities will better match the rehab and physical medicine providers’ expertise and quality care. The new rehab hospital will open with 50 licensed beds (compared with its current 40 beds) with long-term capacity for 60 beds. Plans for research, a residency program and continued education and training opportunities will help move it deservedly into the top tier of rehab hospitals, Jimenez said. Cecchini emphasized the compatible cultures at both Select Medical and UF Health Shands. She became a Select Medical employee last year, after having led our rehab hospital for 17 years. The Archer Road building, into which the rehab hospital will move, housed the Select Specialty Hospital – Gainesville. This long-term acute care hospital relocated on Aug. 14 as a hospital-within-a-hospital on the fifth floor of UF Health Shands Hospital. It will remain independently managed and operated by Select Medical as a resource for patients referred from hospitals throughout the area. 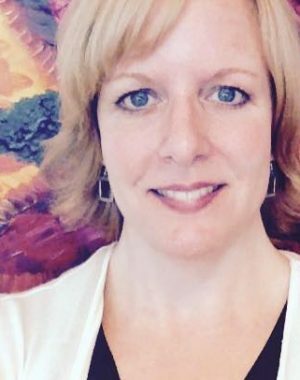 Kim has spent 20-plus years writing, editing and developing strategic communications programs and campaigns. Her team supports UF Health with system communications: They’re like an in-house PR agency providing internal, business, public affairs and issues/crisis communications. Her superhero teammates are Michelle Moore, assistant director; Rachel Rivera, communications coordinator; Nacuya Rucker, communications specialist; and a team of PR interns. In a previous life, Kim was assistant director for Shands HealthCare Marketing and PR. Before that, she was the lead coordinator for two annual festivals for the City of Gainesville Division of Cultural Affairs (the fall Downtown Festival & Art Show and the Hoggetowne Medieval Faire). Kim is active with the International Association of Business Communicators and volunteered until recently as the Advisory Council co-founder and chair for the City of Gainesville/Alachua County Senior Recreation Center. She holds a journalism degree from UF.